At Whitehead’s Estate Agents in Ashby de la Zouch, we understand that everyone has their own picture of a dream home which is why we take our bespoke property solutions one step further! Combining the values and services of a traditional High Street Estate Agency with the cost effectiveness of an online agent, industry experts, Peter & Michaela have thrown out the rulebook and created a unique and forward-thinking property business. Welcome to Whiteheads Estate Agents in Ashby! Our ethos is to go the extra mile for clients providing property solutions that are bespoke to the individual; matching the right house with the right buyer and helping clients sell houses, seamlessly and efficiently. 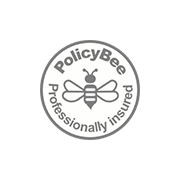 We are small enough to care and large enough to perform; offering services that are flexible, reliable and dependable across the Midlands. 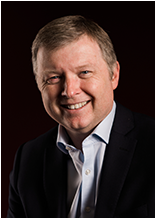 With over 34 years’ experience in the property industry, Peter has helped thousands of families, buy and sell properties across the East Midlands area. 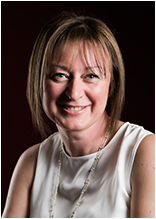 Michaela carries with her, a wealth of knowledge and over 28 years of experience in Corporate and Independent estate agents across Greater London and the Midlands area. We take pride in our services, our knowledge of the property market, and our pro-active approach in improving and enhancing our job expertise. We thrive in engaging and improving! We always approach our business with passion, confidence and a good deal of humour for good measure. We love what we do, and we do what we love! Our results are based on honest and integral services that are bespoke to a client’s needs. We don’t just give you what you need; we give you what you want! I would like to thank you both for your professionalism and excellent service we received in the recent process for the sale of my Son and Daughters properties. I certainly wouldn’t hesitate in recommending your company to family and friends in the future. Are you more expensive than other agents? At Whitehead’s, our fees are very competitive for the bespoke services we offer; giving you an all-encompassing service that guarantees a smooth and efficient process from beginning to end. How and when can I get hold of you? We want to ensure that our clients can contact us at almost any time 24/7 and therefore our channels of communication are always open. Contact us via office telephone (01530 353170), mobile (07922 426110), text message, email, LinkedIn,Twitter or Facebook. See our contact page for more details. Why choose you above other agents? Both Michaela and Peter offer over 64 years of experience in all aspects of Estate Agency; giving clients a friendly, highly professional and engaging service. The time process involved when selling your home can vary. As an educated approximation, we find that the optimum time frame in achieving your asking price is within the first 6 weeks since your property was put on the market. Email, call or message Peter or Michaela with a brief overview of your property requirements. If you are selling your house, a one-to-one home visitation will be arranged to guide you through the selling process. We will offer real value by charging less than most traditional High Street Agents, typically 0.75% + vat with a minimum fee of £900+ vat. All payable on completion with No Sale No Charge. © Whitehead’s Estate Agents Ltd. All rights reserved. 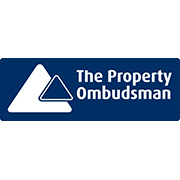 Registered Office: 1 Princess Court, Royal Way, Loughborough, LE11 5XR.